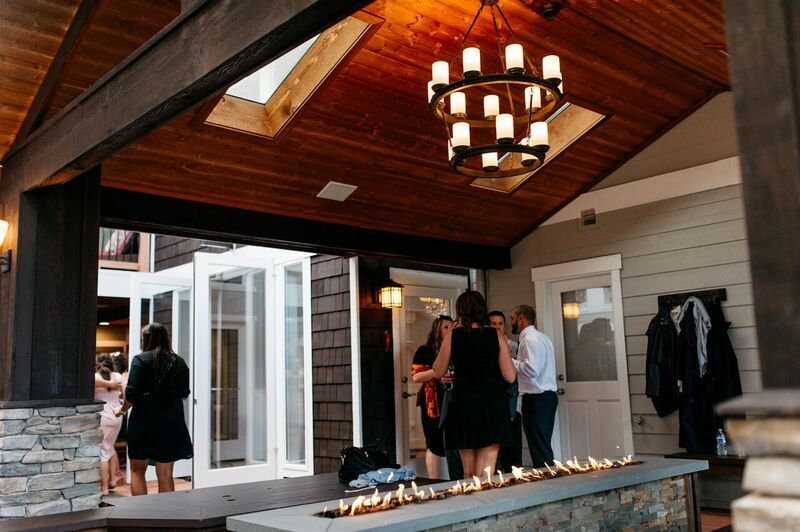 The Lodge at Trinity Tree Farm is one of our favorite venues! 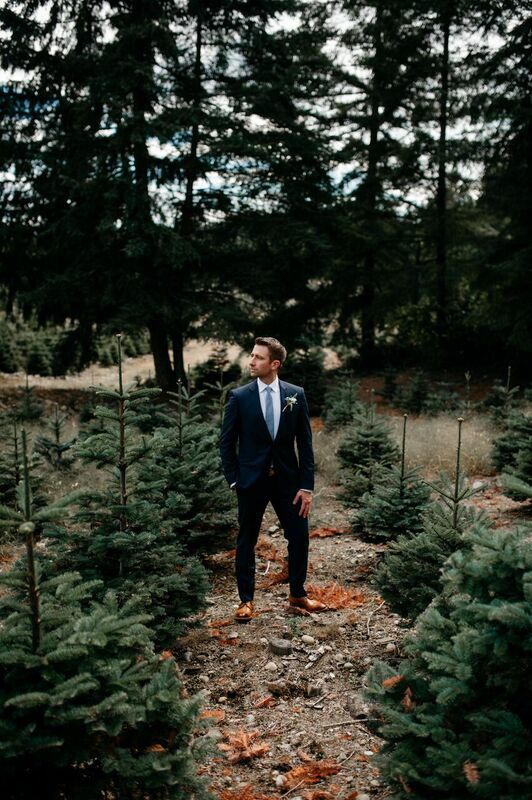 There are two words that comes to my mind when someone mentions the venue Trinity Tree Farm: Classy Serenity. 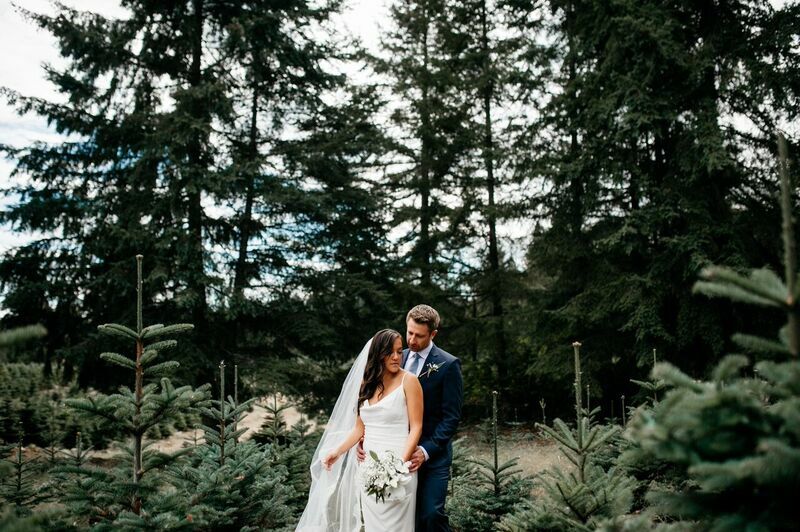 Trinity Tree Farm is the perfect venue if you're looking for a PNW (Pacific Northwest) vibe with a touch of class. 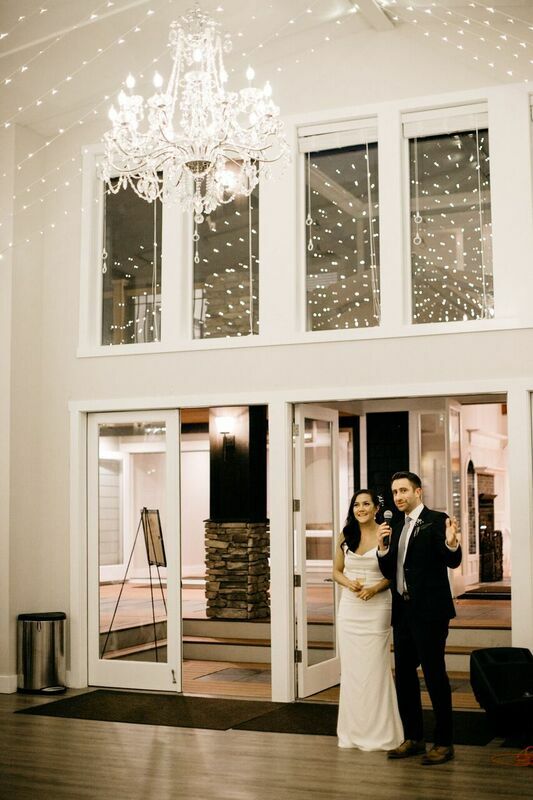 This venue located on a 40 acre hilltop in Issaquah, Washington. 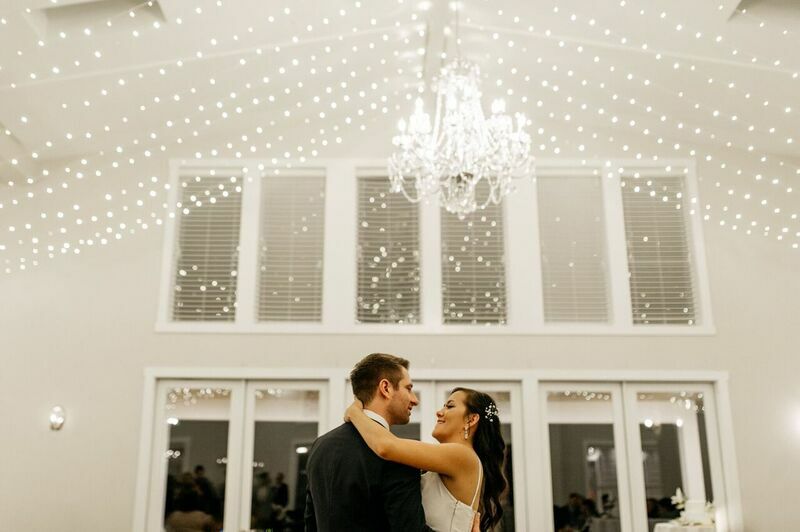 We had the greatest pleasure of helping our couples, Missy and Clark, tie knots at this gorgeous venue! I remember walking into The Lodge while they were still in the middle of construction and to see the end result, this 3,800 square feet of space it really left me breathless! The interior is just filled with light that just bouncing of the new fresh white paint coat walls and it also has vaulted ceilings, and floor-to-ceiling windows so you can catch a glimpse at the beautiful scenery. 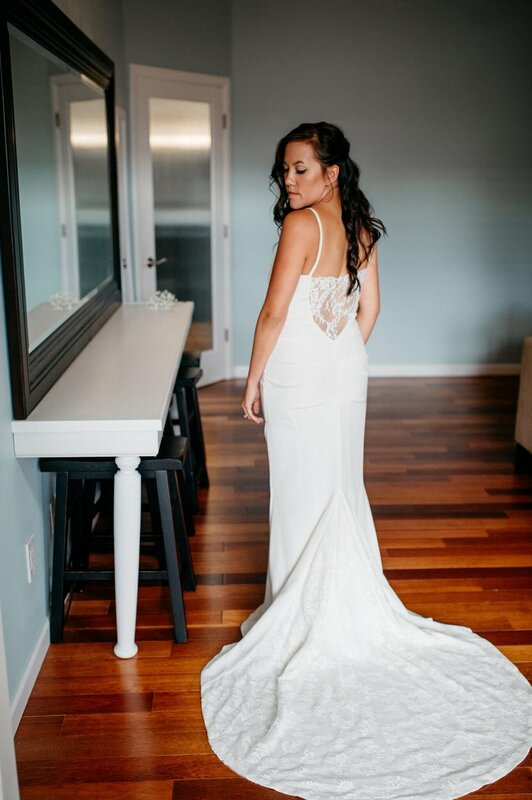 This venue also includes the bridal suite with built in hair and makeup stations, a private decks and restrooms. This is something that the grooms might enjoy. In their area, there is a poll table, shuffle board, a TV, in the dressing room, so they have some time to relax and drink some beers. If you have any other questions, feel free to contact The Lodge at Trinity Tree Farm. They'd be more than happy to help and answer your questions. Take a tour! Breathe in the fresh pine needles Enjoy the scenery! Bride and Bridesmaids To Be! You can't get married without your ladies by your side! Men come and go but friends are forever.... even when you already find the man of your dreams, you're girls have to be there to be by your side to support and most importantly: TO CELEBRATE WITH YOU! NOW, this is the store that I swear by. I love everything about Francesca's Boutique: their great quality product, the atmosphere of every boutique I go in, and the employees are always so cheerful and loving! They have very unique clothing, jewelry, and my favorite, the miscellaneous accessories!! And when I found out about all these wedding goodies that they have, I just had to make a post about it! You never know what you will find on that little table. Here are some fun little goodies for you, a soon to be bride, or for your brides maids! I just think this is so adorable! If your man already popped the question and you said yes, it's your turn to pop the question to your bridesmaid. The brides maid proposal doesn't have to be out of this world. A small little gesture for your ladies would do the trick. Sweet and simple! These earring would make a perfect gift and its something that your bridesmaid will most likely use and its so sweet and simple that it'll match with everything that they wear! Francesca's Boutique in Alderwood Mall! This little cute scrumptious bath bomb smells so good and it makes your skin glow! If you think LUSH only sells awesome bath bombs, think again! Drop this baby in your bathtub, get your new hubby, pop some champagne, and relax ALL night long! There are so many other cute little things at Francesca that are wedding related. If you're still stumped on gifts for the bride or brides maids. Come check it out at Francesca's Boutique. You will fall in LOVE just like I did! Here just some of the other bachelorette/bride products that I love!